A visit to La Pedrera (also known as Casa Milà) is a must-see for many students. 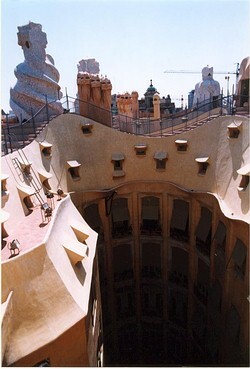 It is one of the best examples of Gaudí's imagination at its most creative. The most impressive aspect of the building is its stone facade with the complete absence of straight lines. Visits, lasting about an hour, include the building's interior and roof terrace.